Hoof Care Today is a helpful tool for anyone looking for solutions to unsound horses, for horse owners interested in hoof care, or for people looking at starting a career as a hoof care provider. 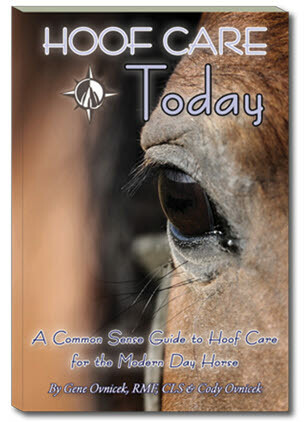 This book covers a basic, common sense approach to understanding good foot function, how to read hoof distortions that can lead to lameness, basic trimming & shoeing guidelines, and an introduction to common lameness issues. Like its predecessor “New Hope for Soundness”, this edition offers a quality foundation for understanding hoof care, without all the fluff. Straight forward, practical, common sense hoof care! Additional Resources Provide by the E.L.P.O.